What squares would you add? Also, yes, thank you, we are aware that a bingo card does not constitute a logical reasoned argument. You could, if you like, use it as a clue that we’ve heard some of your ideas before though. 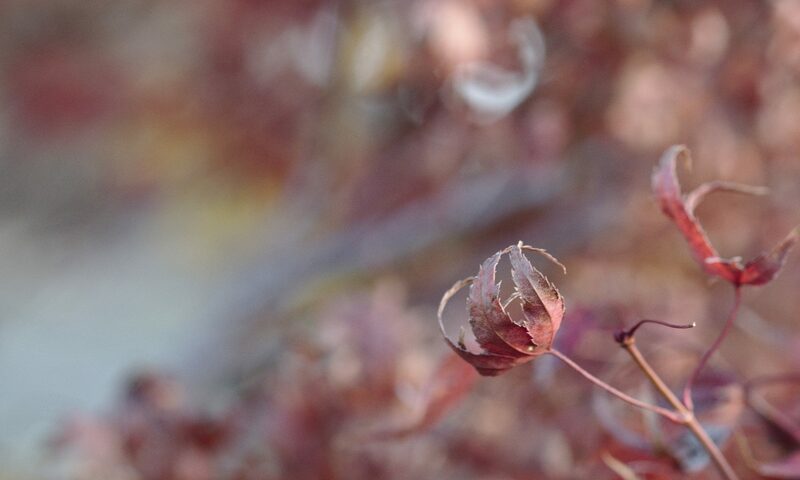 Sharing notes: you can use this under public domain/Creative Commons Zero, that is, for any purpose, without attribution or sharing alike, or with it, as you choose. Here’s an SVG version. Correctly identifying and banning pseudonym use is easy. Sorry, gotta stop spam! All possible uses of multiple accounts are sockpuppeting. What, you don’t want your friends and family to find you on our site? My online culture uses real names exclusively. No wonder your minority group is invisible here, if none of you use your names. No one will harass/intimidate you using their legal name! Reputation and legal names go together. “It’s harder to find people under their legal names!”—Joe Smith What do you have to hide? Why can’t you be honest and faithful to who you are? If pseudonyms are used, they should be officially registered. 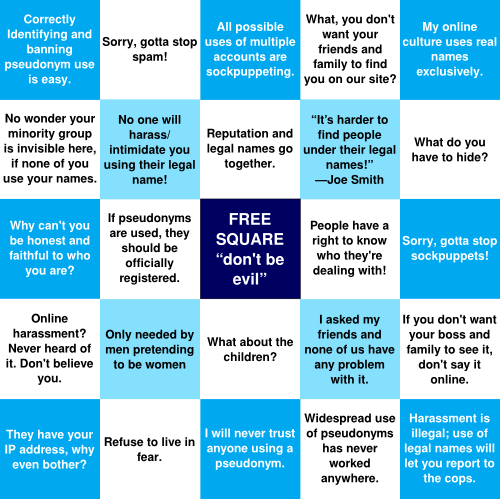 FREE SQUARE: “don’t be evil” People have a right to know who they are dealing with! Sorry, gotta stop sockpuppets! Online harassment? Never heard of it. Don’t believe you. Only needed by men pretending to be women. What about the children? I asked my friends and none of us have any problem with it. If you don’t want your boss and family to see it, don’t say it online. They have your IP address, why even bother? Refuse to live in fear. I will never trust anyone using a pseudonym. Widespread use of pseudonyms has never worked anywhere. Harassment is illegal; use of legal names will let you report it to the cops.